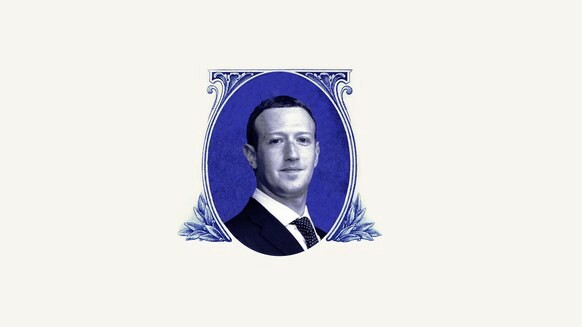 Can a private stablecoin help Facebook into payments? Facebook will introduce a cryptocurrency which will allow WhatsApp users to send money instantly likely in the first half of 2019. Consumers however use Venmo or Zelle for this with fiat currency. What will be the incentive to use a Facebook coin in Facebook’s messaging convenience? Think about it, every initiative Facebook has made in payments, has failed. I mean failed so badly we don’t even remember them. Facebook Credits, its previous virtual currency, launched in 2011 and sunset two years later? Facebook Gifts, launched in 2012 and sunset two years later (there’s a theme here) in part because, to quote the redoubtable Josh Constine, “Facebook never found a way solve distance and localization problems to make Gifts work internationally”? Facebook Messenger Payments launched in the US in 2015 and expanded to Europe two years later. So what will make a stablecoin different? Facebook has been thinking about meaningful adoption of blockchain tech for what feels like years. Wouldn’t Telegram (who have the crypto audience) stand a better chance of doing this? Meanwhile wouldn’t Square, Line and others find a better sweet spot for their customers than people who use WhatsApp strictly for communications? Facebook’s stablecoin won’t even operate like an actual stablecoin but be more similar to JP Morgan’s internal centralized coin, where the “blockchain” benefits are quite limited. Facebook Inc. is working on making a cryptocurrency that will let users transfer money on its WhatsApp messaging app, focusing first on the remittances market in India. India of late is being invaded by the Chinese, from Alipay to Xiaomi to ByteDance, to an E-commerce battle between Walmart and Amazon, everyone is starting to recognize the importance the Indian market. While the project has been secretive from other Facebook employees, multiple leaks means we basically know this isn’t even a real crypto, but simply an internal digital coin that happens to mimic a stablecoin. That misses the entire point of decentralization and how consumers would opt-in to a legitimate cryptocurrency. This is like a Mark Zuckerberg head-fake into crypto, or even more likely, a publicity stunt of Facebook saying its still relevant. Facebook has long been expected to make a move in financial services, after hiring former PayPal president David Marcus to run its Messenger app in 2014. Yet with each passing year Alipay and WeChat pay consolidate their business and move globally while Facebook has remained flat, a niche digital advertising company stuck in monopoly heaven of Silicon Valley’s absurd over-valuation of its behavioral targeting network. Before the Civil War the United States had over 8,000 kinds of money, not unlike the over 2,000 kinds of cryptocurrencies today. Tokenization means assets are transforming into blockchain. Yet by having simply an internal coin, Facebook defeats the entire purpose of all the Bitcoin enthusiasm. Initially focusing in India makes perfect sense for Whatsapp because there are less established payment structures in place than markets such as the US or the UK. It makes sense since WhatsApp has a great base in developing countries including the likes of India and Brazil. Yet you won’t be able to buy Facebook’s coin just use it within its ecosystem. Tethered presumably to the U.S. dollar it’s going to be an expensive fiat exchange for people in India. After all, one U.S. dollar is nearly 71 Indian Rupees. Facebook is treating the stablecoin like an alternative world of digital coins that you can clone and copy, but that’s not how the crypto universe works. The cryptocurrency adoption rate is high mostly due to the idea of decentralization — where technologies like Bitcoin show there’s no owner of the network. A Facebook intermediary means you are only making the rich richer. Facebook is exploring ways to leverage the power of blockchain technology but does not seem to understand cryptocurrencies. Telegram and Signal, are planning to roll out new cryptocurrencies over the next year. Square wants to integrate Bitcoin Lightning technology and already does well with Bitcoin transactions. WhatsApp has a monetization problem, it always has, but ads between stories and digital coins are probably not the answer. Facebook has proven with its cloning and copying, it’s really bad at innovation and that’s one of the reasons I’m a bit skeptical about this WhatsApp Coin. A stable FaceCoin on the blockchain is not a crypto. Surprise, surprise! WhatsApp, which Facebook owns, could send to friends and family instantly anywhere in the world. I’d trust a JP Morgan instantaneous transfer, but Facebook? Facebook has a family of apps that are more distracting than useful, and the product has never been very consumer-focused. Facebook makes the majority of its revenue with ads and micro targeting of people’s interests, habits and value to brands. Amazon has re-created the ecosystem idea of scalable business models, it’s hard not seeing Amazon stealing Facebook’s advertising marketshare in the coming years. ByteDance, the Beijing based Chinese startup now the most valuable in the world, is essentially disrupting Facebook’s hold on global app dominance with TikTok and Toutiao, among others. ByteDance has shown they can deliver on their app innovation that upgrades how personalization of content occurs in-app. Facebook going for a backed stablecoin used for P2P transfer, barely even makes sense. Facebook would have to acquire Coinbase for this to even be relevant over the long-term. Now Telegram, which has an estimated 300 million users worldwide, is also working on a digital coin after a huge ICO essentially raising $1.7 billion dollars. By going to private blockchain that’s centralized, Facebook is missing the entire point about what makes decentralization, Bitcoin and consumer blockchain adoption special. That’s basically why I expect it to be a failure and I’m not sure if the crypto community agrees with me as well?